Our local instructors are some of the most experienced cross country skiers in the area. When you have them by your side, you’re sure to take away some pretty great tips. Whether you’re new to the sport or a confident racer, a group classic skiing lesson will help you improve in ways you’d never be able to on your own. Finding glide with ease, kicking up every hill, and striding smoother than ever aren’t just skills for expert cross country skiers. 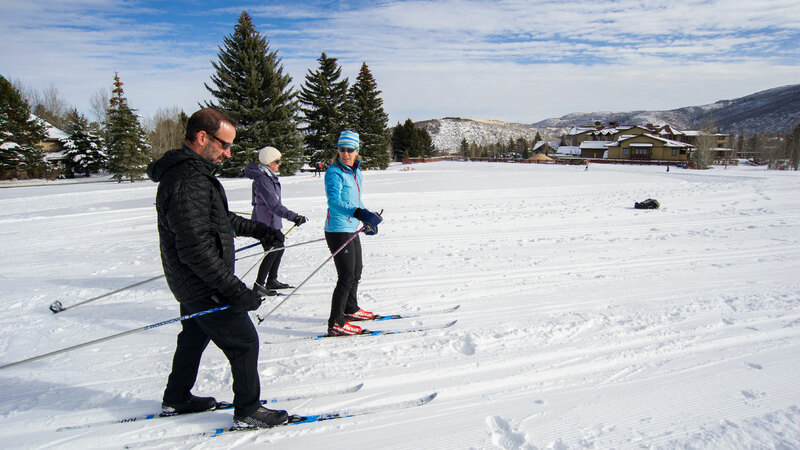 With help from our professional instructors, the camaraderie of a group atmosphere, and over 20K of groomed track at the White Pine Nordic Center, you’re sure to take your skiing to new heights. Please review our Reservation & Cancellation Policy. For more information call the White Pine Nordic Center at 435-649-6249 (Nov. 20th thru April 1st) or email us at experts@whitepinetouring.com. © 1972–2019 White Pine Touring.